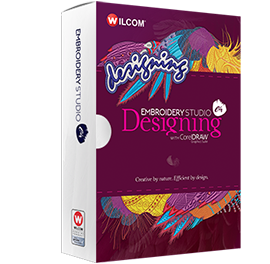 EmbroideryStudio e4 Designing with new technical and creative stitching effects, faster digitizing, and over 200 professional embroidery fonts, you can digitize more creative advanced designs quickly with full professional control. CorelDRAW® Graphics Suite 2017 is included, and provides fully integrated vector and bitmap graphics software for multi-decoration, printing, cutting, engraving, and much more. 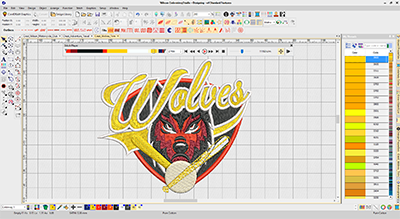 With advanced lettering and team names, which includes over 200 embroidery fonts, extensive technical and creative embroidery features, and professional editing and digitizing, you can create logos, sports and fashion designs quickly with total professional control. 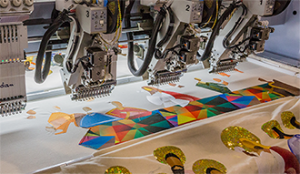 Simple graphics digitizing combined with very productive traditional digitizing tools provide professional digitizing for both experienced and aspiring embroiderers. Quickly prepare design mock-ups on high resolution garment images and email .PDF approval sheets directly to customers. Save basic order, and job production information right into the Wilcom .EMB design file for easy reference. Auto Shaping – Automatically weld intersect or overlap embroidery and graphic objects. Freehand – Integrated freehand drawing of stitched outlines and fills plus selected details from other elements are also now also included. Improved auto-underlay, Lap Corners and Tie-off stitching. New Sculpture, Raised Satin, Square and Double Square stitch types. New Spiral Fill and Radial Fill creative stitching techniques. Improved Cross Stitch copying and mirroring.